Part of the fabulous new hardback library of 24 Evelyn Waugh books, publishing in chronological order. 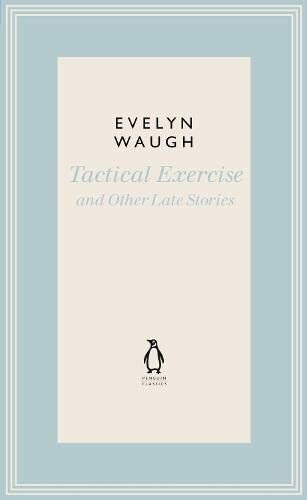 Composed between 1939-62, the late stories of Evelyn Waugh are in turn blackly comic and bitingly satirical. In 'The Sympathetic Passenger' a radio-loathing retiree picks up exactly the wrong hitchhiker, while 'Charles Ryder's Schooldays' provides a hilarious and fragmentary insight into life before Brideshead. These witty and immaculately crafted stories display the finest writing of a master of satire and comic twists. Evelyn Waugh was born in Hampstead in 1903, second son of Arthur Waugh, publisher and literary critic, and brother of Alec Waugh, the popular novelist. He was educated at Lancing and Hertford College, Oxford, where he read Modern History. In 1928 he published his first work, a life of Dante Gabriel Rossetti, and his first novel, Decline and Fall, which was soon followed by Vile Bodies (1930), Black Mischief (1932), A Handful of Dust (1934) and Scoop (1938). Waugh travelled extensively and also wrote several travel books, as well as a biography of Edmund Campion and Ronald Knox. Other famous works include his Sword of Honour trilogy, and Brideshead Revisited (1945).